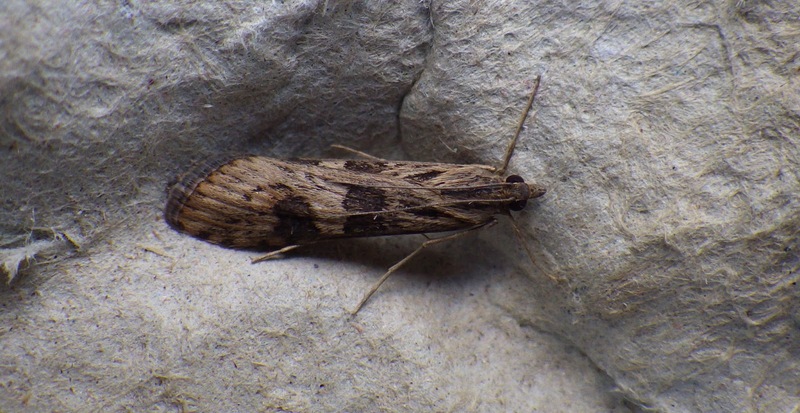 I trapped in the garden last night (4/8) for the first time in what seems ages and a fair mix of the late summer crowd of moths were in the traps, but nothing exciting. It was dominated by various yellow underwings, flame shoulders and the like. 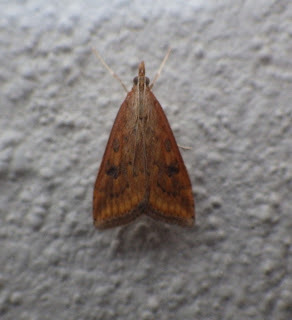 There were three migrant species present: silver y (2), rush veneer (1) and rusty-dot pearl (1). Above: a blurry shot of the rusty-dot pearl which only allowed me this single photo before it flew off. PS. I forgot to say: I had a male brimstone butterfly in the garden yesterday, feeding at Buddleia.